덴학 - 덴학에 있는 호스텔. 덴학의 지도, 덴학에 위치한 호스텔 사진 및 후기 정보. 덴학에 호스텔, 저렴한 호텔, 아파트, 게스트 하우스, B & B를 찾고 계십니까? 덴학의 모든 최고의 가격은 kr.Dorms.com안에 있습니다. 매달 수천명의 여행자들이 이곳에서 예약을 진행하시듯이 고객님도 덴학의 저렴한 가격에의 호스텔을 안전하게 예약하실 수 있습니다. 웹사이트에 고객님이 원하시는 핫 트렌디 시내 주변의 호스텔을 쉽게 찾을 수 있으며, 대학가, 기차역, 공항, 모든 덴학의 관광명소에서 가까운 호스텔을 찾을 수 있습니다. This city has something for everyone. Immerse yourself in culture at one of the city's palaces or museums, e.g. the Escher Museum in the Palace or the Gemeentemuseum. 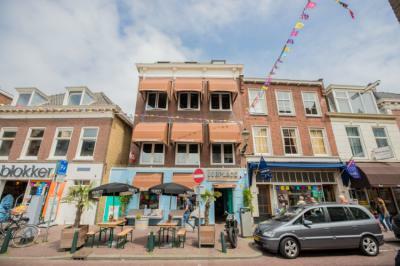 Other tips include the Binnenhof, Madurodam or even a day at the Scheveningen beach. Round off your day in one of the city's countless restaurants or discover its lively social scene. 우리는 해변에서 길을 따라 크루즈를 타기 위해 longboards를 임대합니다. 우리는 가끔 파티하기를 좋아하며 1 년 내에 할 수있는 것보다 더 많은 스포츠 활동을하고 있습니다. 침대는 뷔페 식 아침 식사를 생각하지 않았기 때문에 로비는 아름답습니다. 객실이 따뜻하면 완벽 할 것입니다. 멀지 않은 교통 센터에서 트래픽이 매우 편리합니다. 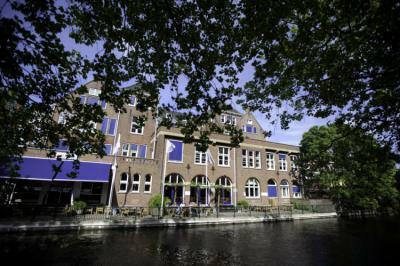 It is a very cool place to stay, located next to a canal, near the Den Haag HS railway station, so if you plan on traveling around, it is a best place for you to choose! It is clean, the 8-person room was spacious, and the breakfast was delicious! Lots of open space, very roomy. Good breakfast. The hostel is well located. There is even a Tram line to take you to the center of Den Haag. I like this hostel bcecause it has a good atmosphere and you can walk to the beach. The unique fixtures and fittlings are great and the clever use of lighting all over the property is fantastic. The staff could not be more helpful and friendly. There was some free spare food boxes and a free breakfast during the week. Jorplace has an amazing atmosph&egrave;re, thanks to the decoration and the staff members who are smily and helpfull. Jordi if you are reading it, thanks for thursday night we had lots of fun! The beach is just art the end of the street, and facilities are nearby. Auberge stylée, accueil chaleureux !